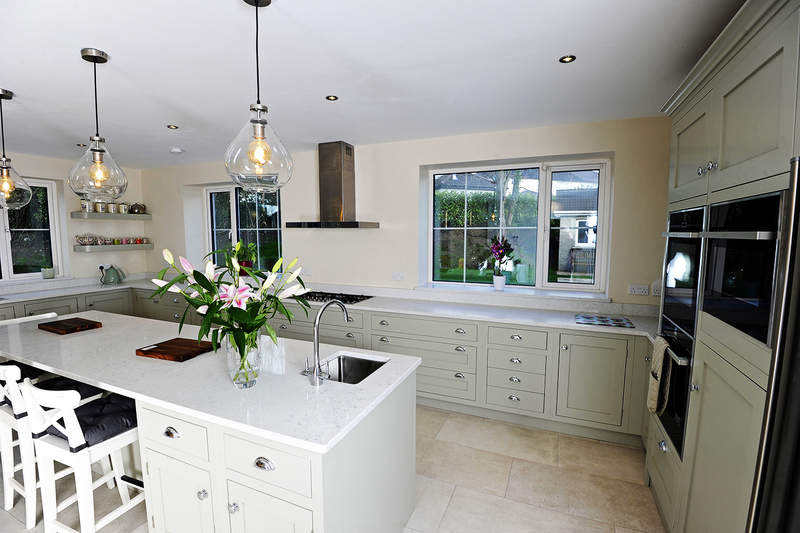 This light and bright kitchen benefits from bright sunlight coming from the velux windows in the ceiling. 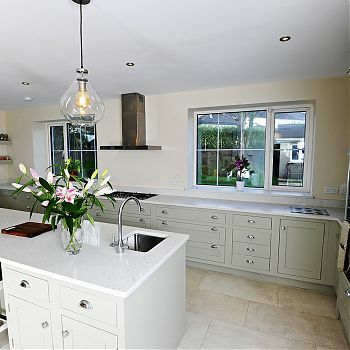 Stunning high windows make this kitchen a contemporary and inviting kitchen to be in. 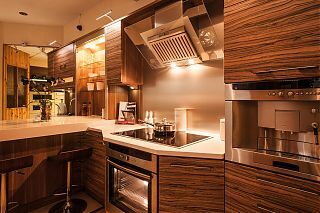 To compliment the kitchen design perfectly we created a feature circular 100mm Walnut Island. 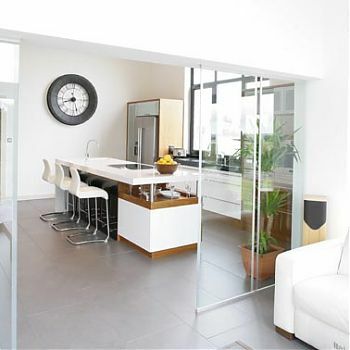 This look softens the kitchen and makes it look more spacious while providing a feature within the room. 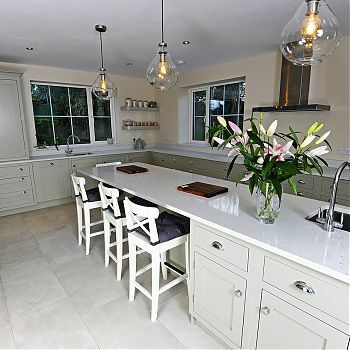 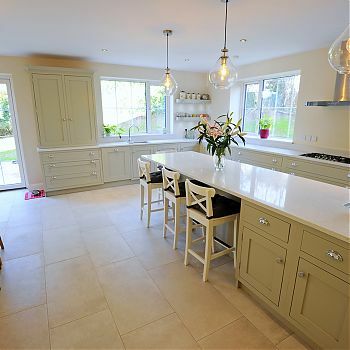 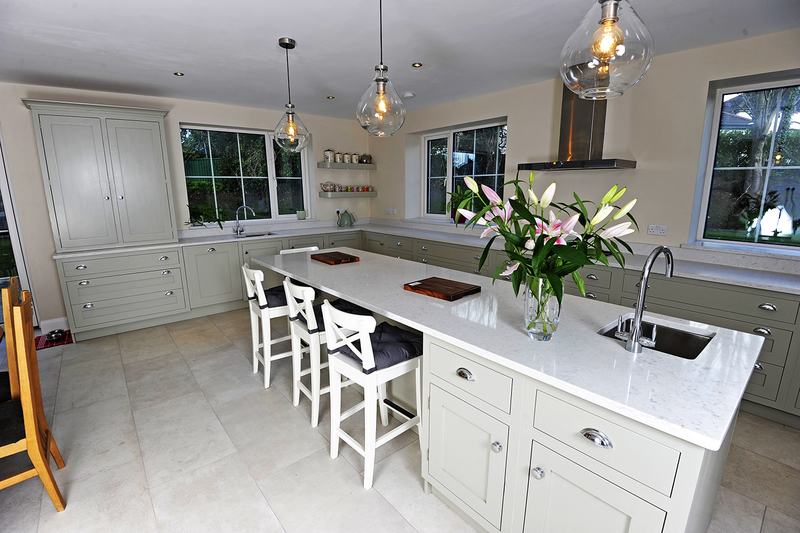 Check out our work with this hardwood Ash in-frame kitchen finished in Cornforth White paint from Farrow & Ball. 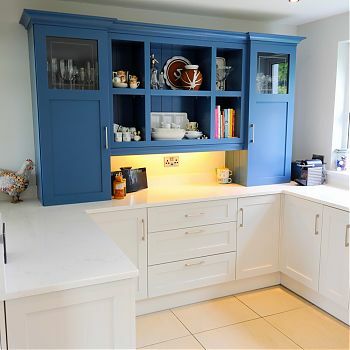 Check out our top 5 visited kitchen features for Cork! 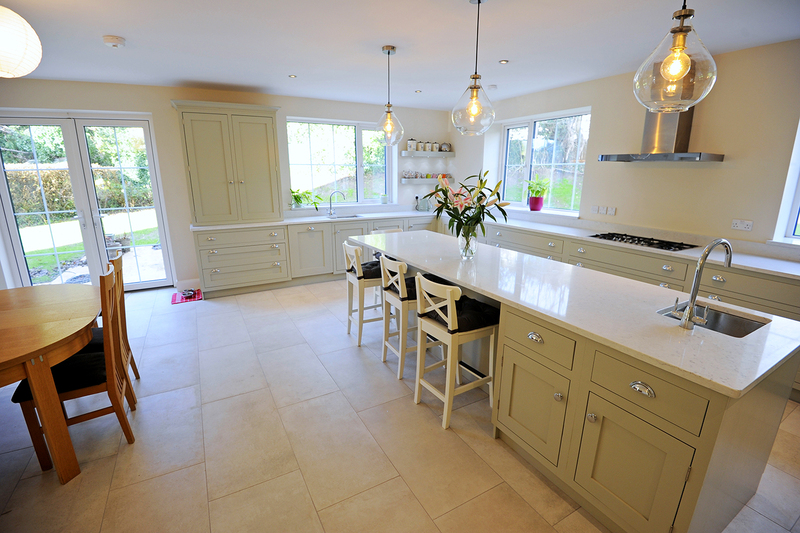 Designed, built and fitted by Hartigan Kitchens.